The NVIDIA Transfer Learning Toolkit is ideal for deep learning application developers and data scientists seeking a faster and efficient deep learning training workflow for Intelligent Video Analytics (IVA). 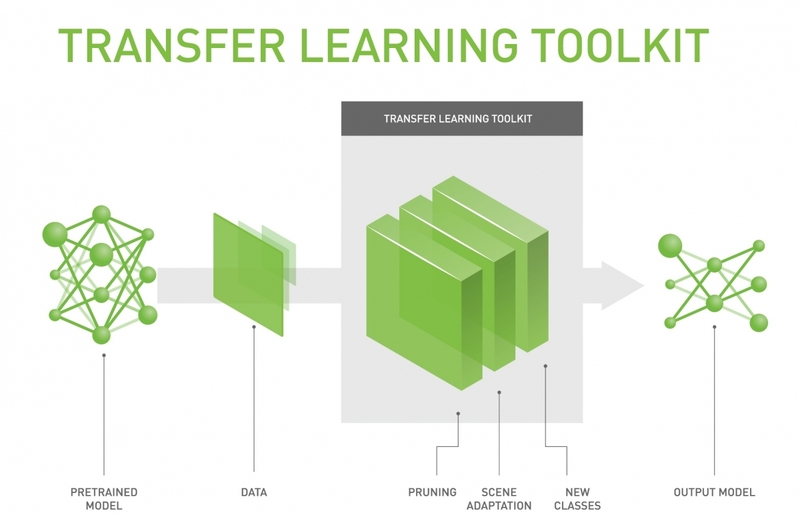 Transfer Learning Toolkit abstracts and accelerates deep learning training by allowing developers to fine-tune NVIDIA provided pre-trained models that are domain specific instead of going through the time-consuming process of building Deep Neural Networks (DNNs) from scratch. The pre-trained models accelerate the developer’s deep learning training process and eliminate higher costs associated with large scale data collection, labeling, and training models from scratch. The term “transfer learning” implies that you can extract learned features from an existing neural network and transfer these learned features by transferring weights from an existing neural network. The Transfer Learning Toolkit is a Python based toolkit that enables developers to take advantage of NVIDIA’s pre-trained models and offers technical capabilities for developers to add their own data to make the neural networks smarter by retraining and allowing them to adapt to the new network changes. The capabilities to simply add, prune and retrain networks improves the efficiency and accuracy for deep learning training workflow. To learn more about Transfer Learning Toolkit for IVA, using pre-trained models offered for IVA and examples check out our latest blog on how to accelerate Intelligent Video Analytics applications with Transfer Learning Toolkit and DeepStream SDK for inference.